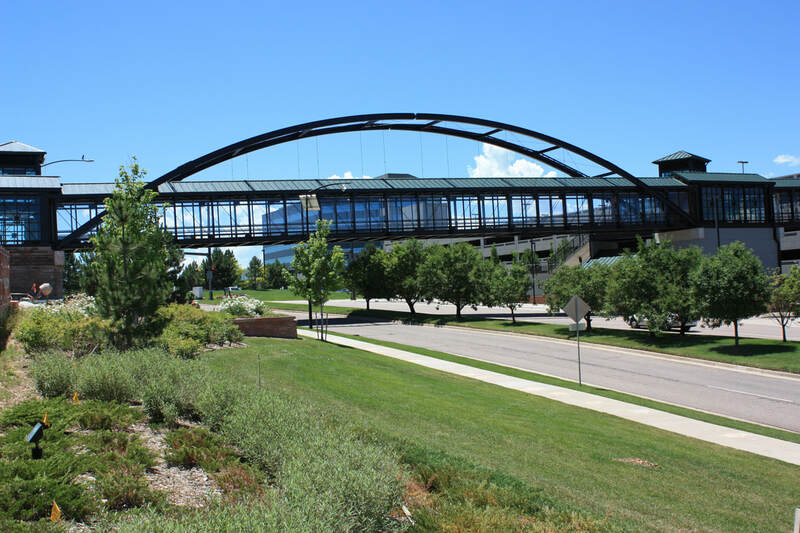 Dry Creek Pedestrian Bridge – Mulhern MRE completed the planning, regulatory coordination and approval, design, easement and land acquisition, and project management for the construction of the Dry Creek Pedestrian Bridge. This two phase project provides convenient, weather protected access between the Dry Creek light rail station and the Inverness Park. Inverness Signage – Mulhern MRE, Inc. has managed a multiple phase branding project for the Inverness Metropolitan District. This project included design and development of new signage standards for the Inverness Park as well as a multiple phase project of upgrading building identification signage, directional signage, and park identification signage. 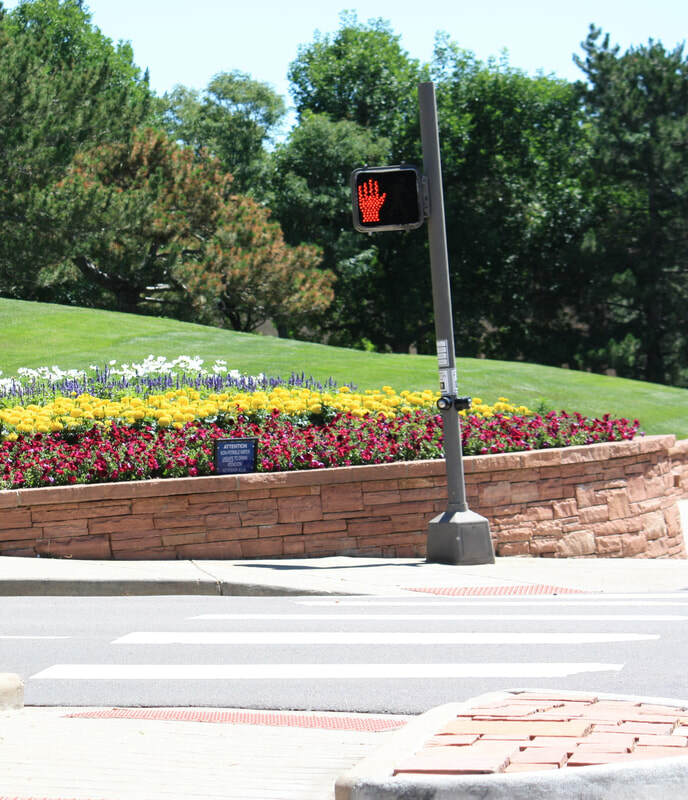 Inverness Sidewalks –Mulhern MRE completed the Planning, Design, Easement Use Documentation, Construction Management, and Construction Observation for Sidewalk Retrofitting through developed areas with sandstone retaining walls and Bus Stop Pads. The Retro-fitting of these facilities has been very challenging in Inverness since much of the Park was developed without sidewalks and with extensive berming. Since many retaining walls were needed, a sloping stacked sandstone wall was developed to provide high quality aesthetics at a reasonable cost. Mulhern MRE has overseen the construction improvements and extensive coordination with property owners was required to approve plans and coordinate irrigation system repairs. Ice pigging – In order to provide improved water quality, Mulhern MRE, Inc. has managed water line cleaning projects for the Cottonwood Water and Sanitation District and the Inverness Water and Sanitation District. Mulhern MRE, Inc. has utilized a third party process that pushes a salt and ice slurry “pig” through water lines to remove sediment and mineral build-up. Mulhern MRE, Inc. evaluated the water delivery systems and developed scheduling plans that cost-effectively maximized the areas cleaned while minimizing out of service impacts to customers.